2012 is already coming to a close. It feels like just yesterday when I had written about how 2011 had panned out for me and what I'd like to do in 2012. This year has been a year of success in terms of having ticked off all the items that I'd planned to achieve. It is a great feeling. Although the tasks itself were not something that had to do with a lot of effort on my part, yet most things did fall in place with the time line I had in mind. This gives me weird courage to write down my wish list more often. Maybe writing it down really makes the universe consider it wholeheartedly too. This post is not about what I'd want to do just in 2013 but a bucket list of things that I want to do on as a long term goal and a wishlist that may not come true in the near future or even at all. Read more- I'd definitely want to read more, not only in the next year but also as a long term goal. The more I write and read other fellow bloggers, the more I feel inadequate about how little I've read or been reading. Travel more- Oh, this an unsatiating desire, I guess! I cannot term myself as a well-traveled person and yet I know that however much you travel, there is always desire for more. This being an expensive hobby too (in terms of money and time), I can only hope to be able to satiate my travel senses to whatever extent possible in the years to come. Take on more work- This is definitely something that can be worked upon immediately. For now, I'd like to continue the work-from-home status. My observation is, if I organize myself better I can definitely take on more than what I am currently doing. I also want to diversify my work sphere so that I am not losing out on the work experience or the field I studied in, while simultaneously accelerating on the current work front. Write more- yes, sounds crazy to my ears even as the marathon is wearing me down. I am definitely taking a break after this marathon but I do want to write more and better when I come back. A couple of well-wishers and readers of this blog, apart from the family members, have expressed their confidence in my writing abilities to the extent that they feel I can..ahem..maybe add a book to my name. I am really humbled, flattered and deeply appreciate your good wishes. But, to be honest, it sounds all too idealistic and far-fetched. It requires tremendous commitment, discipline and of course talent, to say the least. However all writers, small or big, nurse a desire to see their name in print one day. So, I start with the commitment to write better and explore different genres for a beginning. Give back more to the society- There are so many lovely people out there who are doing so much for the underprivileged and society in general. I truly admire them for what they do. I am not going to make a show of pledge here but I'd definitely want to extend a little more of myself whenever I can, even if it is in a small way as to take part in the waste segregation whole-heartedly or minimize the wastage of resources in the household or donate more stuff to the needy. So, that somewhat sums up my bucket list/wishlist. What are yours for 2013/future? :D You made your resolutions ..yippiee .. All the best for the year 2013. I ll do a post about the same soon . Good, to know that you have resolved to reach certain goals in your life, and I am sure you would be ticking each one off the list if you stay committed. As for writing a book don't take it lightly, for it can happen. It happened to my daughter's husband, who is actually a Chemical engineer from Penn State, but after 4 years of working there and back in India, he felt he has to explore his writing skills, and started writing Adult Comics and would you believe it within one year's time he has already published 2 series and third one is just out. Nobody encouraged him except for my daughter, and he didn't wait also for encouragements from others. He is also writing one novel, and another novel with his friend, both would be ready by next year. So you see one can find inspiration in oneself and venture into fields, that might look rather risky to others, but if you have confidence in yourself anything is possible. And he is just 31 years old. So always be prepared for letting anything to happen in a positive way. I am inspired by ur post to make my bucket list/resolutions for 2013 as well. Lovely commitments. I urge you to put numbers - 3 books a month or 5 hours of volunteering every week from Feb onwards etc. It makes it more achievable, plannable and concrete, at least for people like me. My best wishes that you get to do what all you have wished for ..
2. try not to hurt anyone ..
heard a friend say "Make a declaration and it makes a powerful you"
Kudos to you! Live it up ! Wow Uma, loved your list :)... And I completely agree on the working on what you're specialized in along with what you're doing now!! I am feeling too lazy and uninspired at the moment, to even say that I'm going to start writing down my list.. I think it can take some more thinking ;). waiting to get one of those autographed copies of the book..will come to Bangalore and get the autograph theek hai? 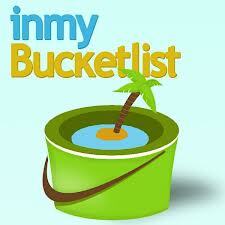 Now this bucket list is a good idea for a post. Will do it soon. Good Luck for the book. I hope you get to see your name in print very soon. A pragmatic and attainable wish list.I am sure success will attend on all your efforts.